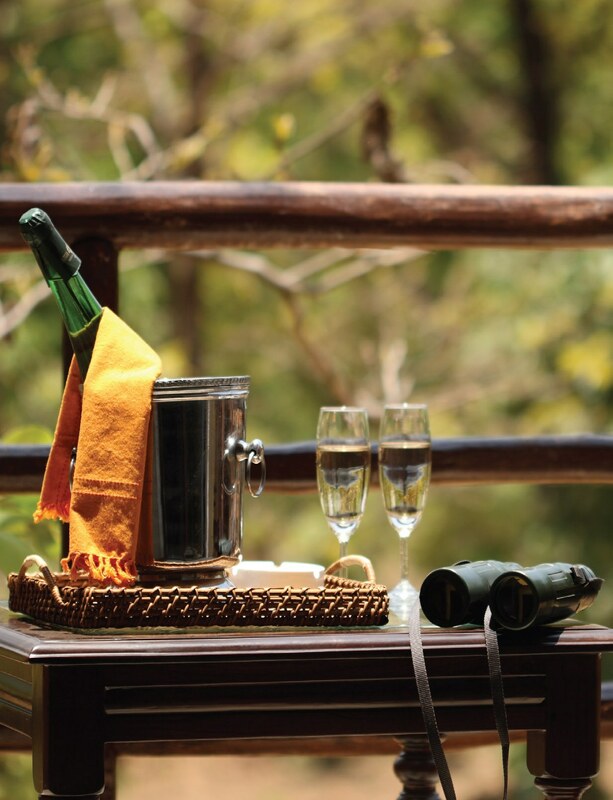 What charms does Old Manali hold? 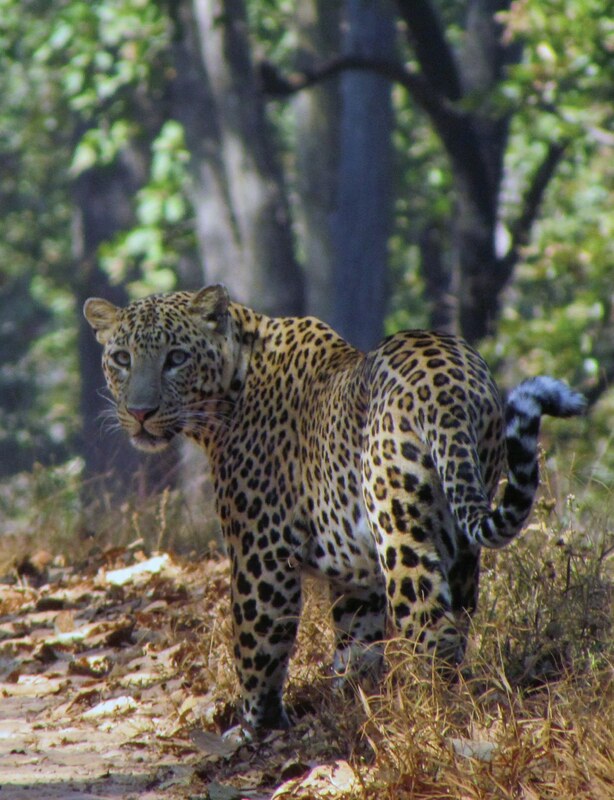 Lap-of-nature serenity, laid-back cafes, and plenty of local talent; says Travel Secrets writer Sarita Santoshini. The bus takes a sharp turn and I jolt awake to see a thick layer of vapour enveloping the window. I had taken the suggestion on Wikitravel seriously and booked a window seat on the bus from Delhi to Manali, so as not to miss the promised view. Groggily I wipe the glass clear. A soft drizzle has taken over the early morning and the Beas River catches up with the bus, swiftly pushing rocks from its way. The green mountain is partially visible through the mist and the tall trees appear dwarfed in its presence. I anticipate that I am going to reach any minute now, but the misty view remains with me for an hour and a half until the bus enters a town lined with shops and pulls to a halt. After two days of continuous travelling, I am finally in Manali. I pull out the address of my hotel and get into an auto. Lucky for me, I notice that I am moving away from the packed commercial part of town and heading towards what looks like a greener, more pristine land. Across a bridge, I reach the other half of the town called Old Manali. The auto drops me off at a set of rock stairs leading up to the Red House Café and Inn, my abode for the day. The apple laden trees across the garden are such a refreshing site as I enter the gate with my heavy rucksacks. 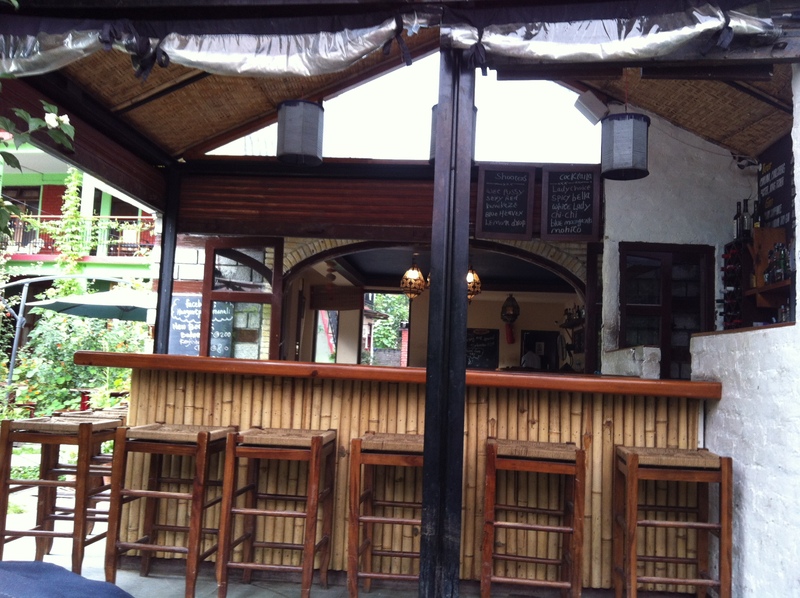 I meet the kind owner, Mr. Raj and the Chef Yogi, who show me to my room on the second floor. I must say, visiting a hill station after so many years has me thrilled unbound. The loud gurgle of the river and sight of the mountains, both almost a part of my room, have this freshness that the city life keeps me gasping for. I take a quick nap to shake away the tiredness, but as soon as I am up, instinctively walk to the window to remind myself where I am. 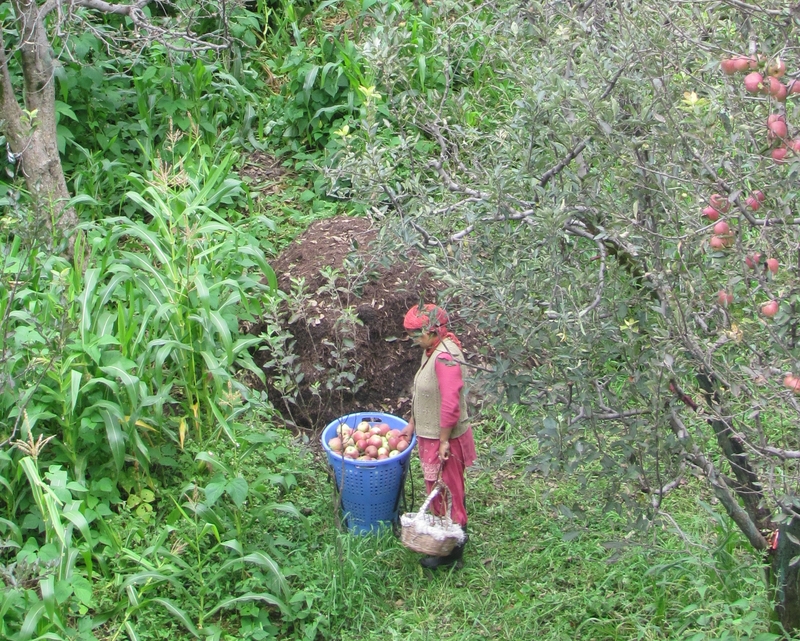 I watch a scattered group of locals at work, plucking red apples from the trees and filling their huge baskets with them. I wonder how the same collect will probably be put on a truck and sold miles away in my hometown in just a few days, and somehow, the idea is comforting. It’s not raining anymore but the temperatures have certainly dropped and it’s fairly cold. 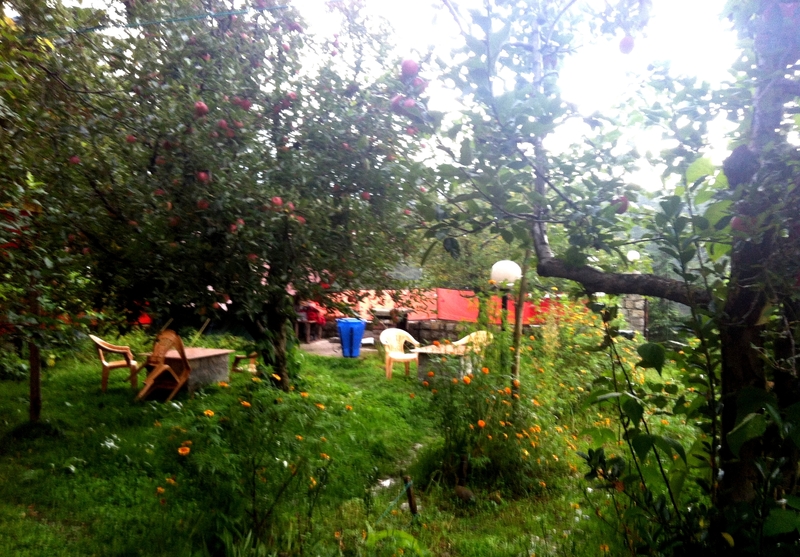 I pull on my jacket and head downstairs to enjoy my brunch, nestled amidst the apple trees. These trees are probably my favorite part of this place. A quick meal later, I walk out to explore the rest of Old Manali. With just one day here and nine days of travelling ahead, I decide to calm my adventurous self and hesitatingly cross Hidima Temple and Vashisht off my itinerary. Some other day, I console myself. The shops and cafes immediately come into view, lining the narrow street that slightly slopes upwards. Snake charmers sit gossiping in one corner while a lady walks past me with a huge fluffy white Angora rabbit. I walk into a few shops to have a look at the vast collection of jackets, harem pants, bags and printed t-shirts. Brief conversations with shopkeepers tell me that most of them are from Nepal and Kashmir, looking forward to returning home for a break after the long season. 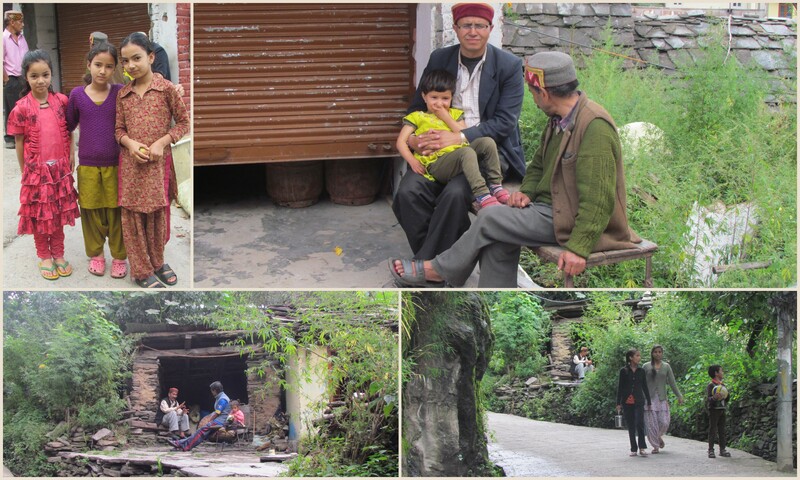 Uninterested in buying anything, I walk on towards Old Manali Village, which is a pleasant change with shops finally disappearing and local houses now lining one side of the street. 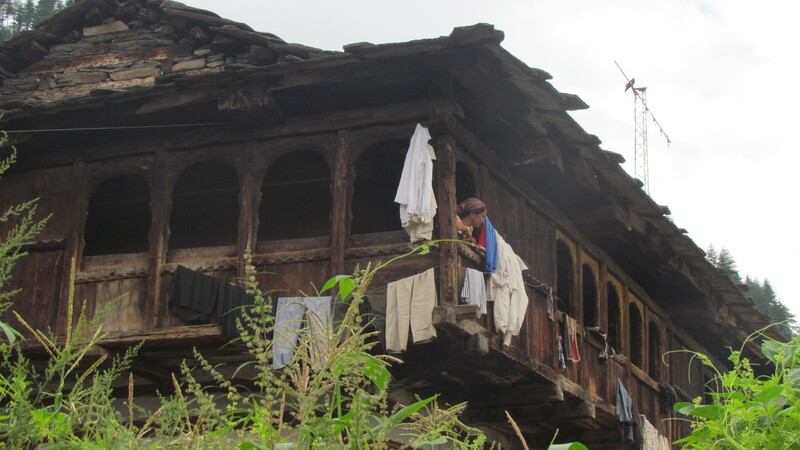 These two- storeyed, partially wooden houses give me glimpses of little kids playing around and women running their daily errands. A little later, a sign board leads me to the Manu Temple, standing serene and wonderful against the backdrop of white clouds. It is empty except for an old man offering long prayers, so I take my time to look around and read the long notice informing tourists of the origins and history of the temple, claiming to be the only one dedicated to the creator of human race. On my way back, I cross a very pretty looking restaurant called Hangout Café and am hungry enough to go in for a quick bite. I sit outside in the flowery courtyard enjoying a delicious pancake when I chance upon a pamphlet announcing a live music performance the same night. I am intrigued by the idea of being able to listen to some local talent, and after wandering for two more hours, cannot help but walk back to the café again. Dim lights and candles adorn the place now and it is already lively with music and conversations. Young travellers sit draped in shawls and sip on to the their drinks for warmth. I sit down by myself at the bar only to be joined by a really interesting couple from Punjab, who I go on to spend the rest of the evening with. We sit exchanging stories about our lives and travels as the young artists cover favourites like Wonderwall and Yellow. The wife, Swati, even lets me in on secret destinations around Himachal and Kashmir, which she thinks I should write about someday. And write I must. Before I realise, it is past 11 pm and I decide to make my way back to my room. As I walk back down the slope, music flows from a few open restaurants, but the rest of the town has already drifted off to sleep. 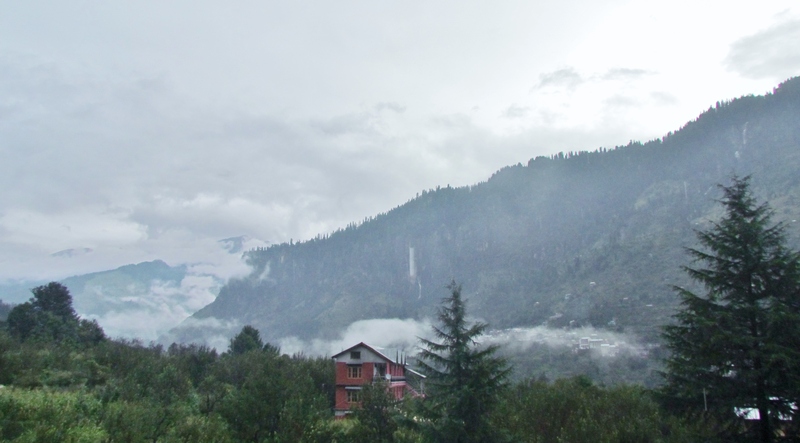 I did not have any extraordinary experience here, not that I expected to, but Old Manali did charm me in some way. 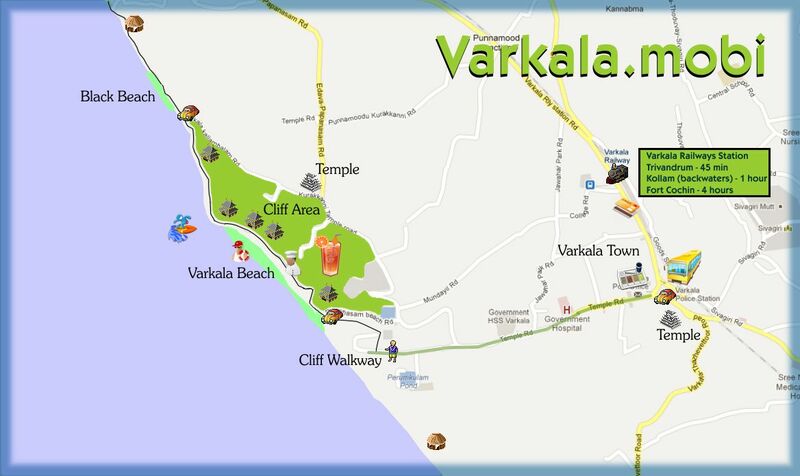 It is that place you go to for a day or so, for an assured great start to the journey that lies further down the road. Take a good pit stop here while you can! 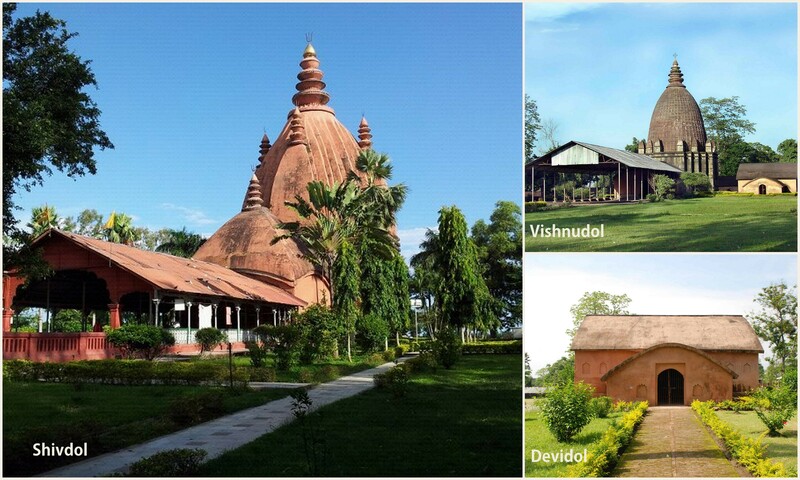 Q: Why should you visit a small town called Sivasagar in Assam on a trip to the North east? Sivasagar is, no doubt, a long drive from Assam’s capital Guwahati. A lengthy 370 kilometres, no less. It’s not much to look at or ‘do’ in, unless you dig oil hubs. But if you like the whiff of history, you should allow yourself to drift—er, drive—toward Sivasagar. 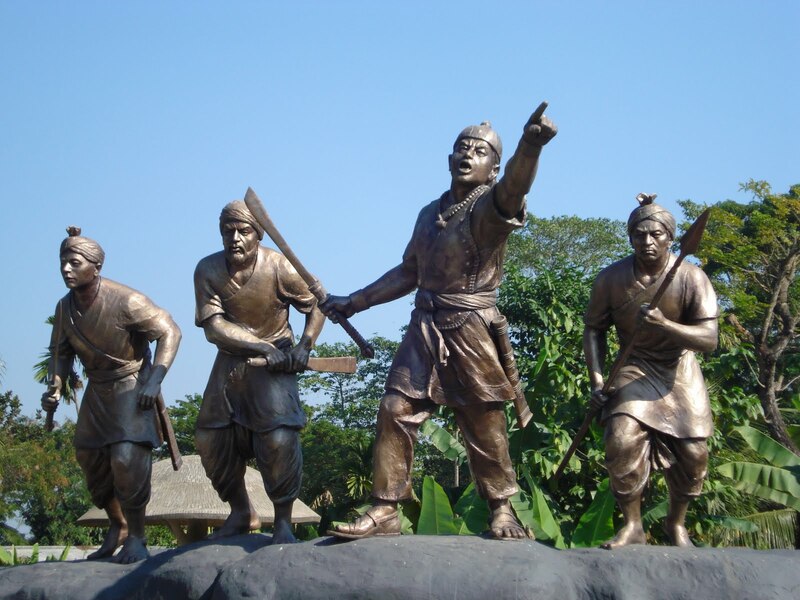 The mighty Ahom kings made it their capital for nearly 100 years, starting 1699. Few eyes have feasted on the remnants from their rule, so the nostalgia of the centuries still hangs in the air. Inhale it as you stumble upon palaces, tanks, temples and monuments that the Ahoms built and Time forgot. 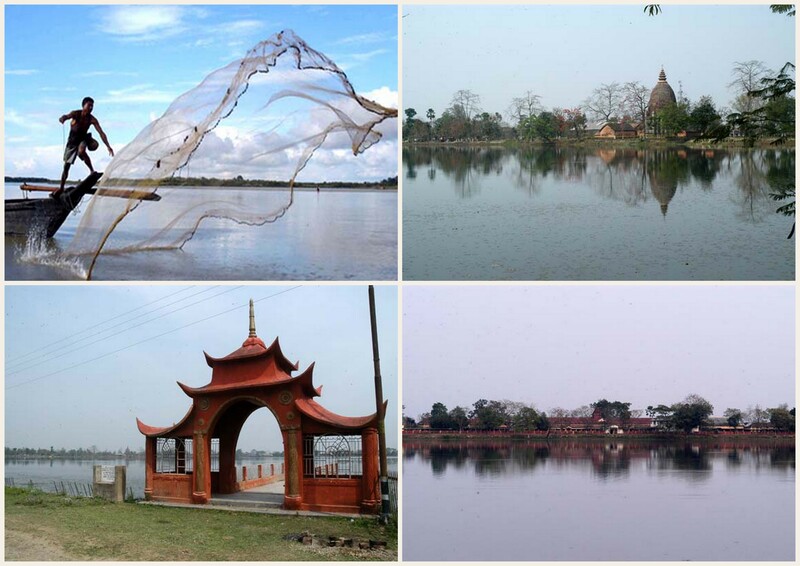 TS Intern Sarita Santoshini, who hails from Assam, gives you a glimpse of the forgotten glories of Sivasagar. This two storeyed structure built in 1746 served as the royal pavilion.The Ahom kings once stood here, watching bull fights at the Rupahi Pathar (playground), It is believed to be one of the oldest and largest amphitheatres in Asia. Fascinating fact: the monument was built using thin bricks and a paste of rice and eggs instead of cement. 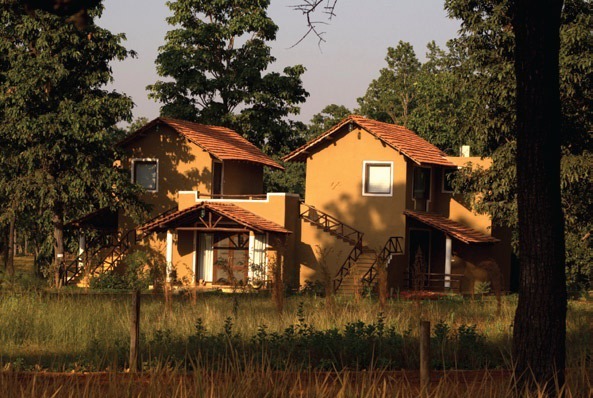 Located in a place called Gargaon, 15 km from Sivasagar, this seven-storey palace used to be an army base. So, expect to see a lot of secret tunnels and exits. Three of the floors are below the ground; these are called Talatal Ghar. 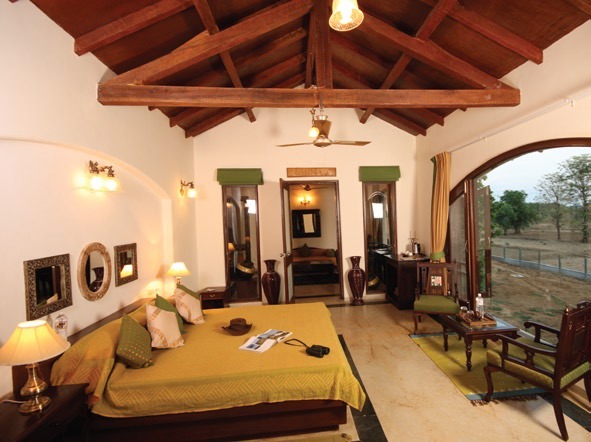 The four floors above are named Kareng Ghar,- together constituting the “Rangpur Palace”. Later, the palace came to serve as the Ahom royal house for many years . Arms and ammunition used during their reign have been found here. 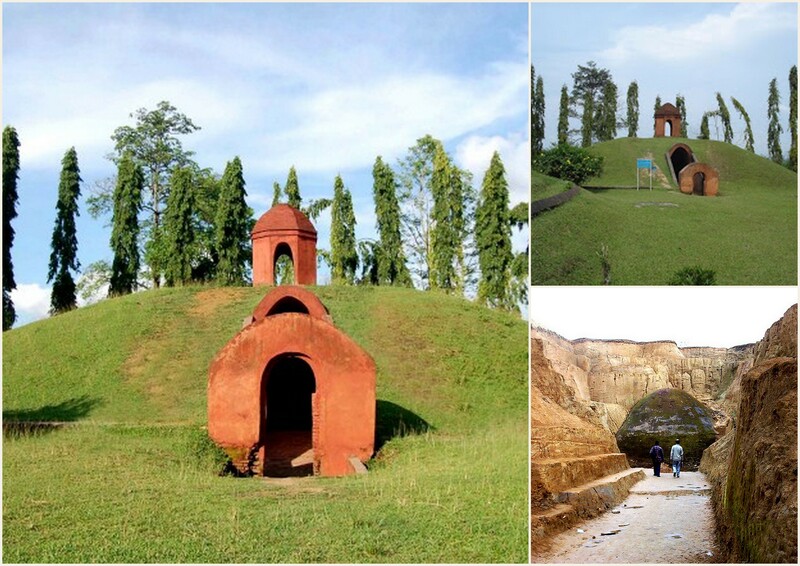 Sitting at the foothills of Nagaland, about 30 km from the town of Sivasagar, Charaideo was once the symbolic centre of the Ahom Kingdom. 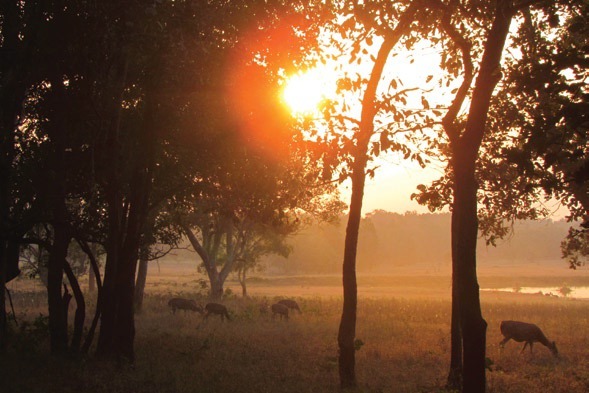 The hillocks were considered to be the site of ancestral Ahom gods and thus began to serve as the burial ground for the Ahom kings, queens and nobles. Only 30 of the 150 royal vaults are protected by the Archaeological Survey of India, so visit the historical site before the ruins conquer it. An Ahom king built this tank in 45 days flat. 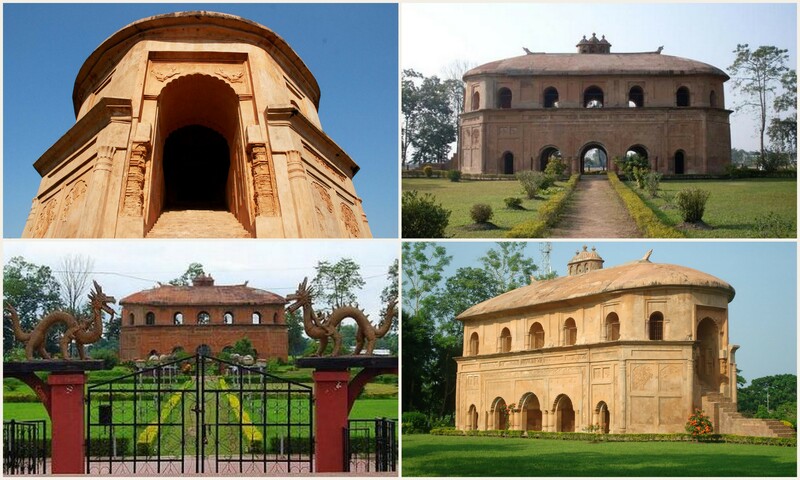 Constructed in 1697, Joysagar nudges the edge of Sivasagar. Three temples flank its banks, the most important being the Sivadol dedicated to Lord Shiva. Devotees flock here from all over the country on Shiva Ratri. 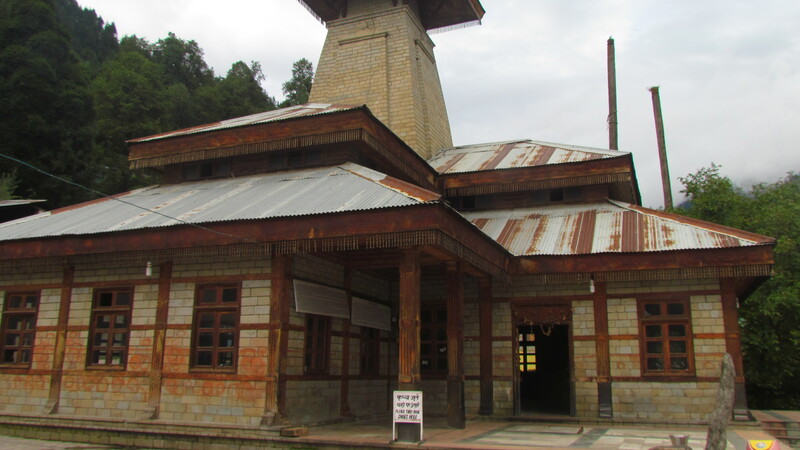 The other two temples are Vishnudol dedicated to Lord Vishnu and Devidol dedicated to Goddess Durga. 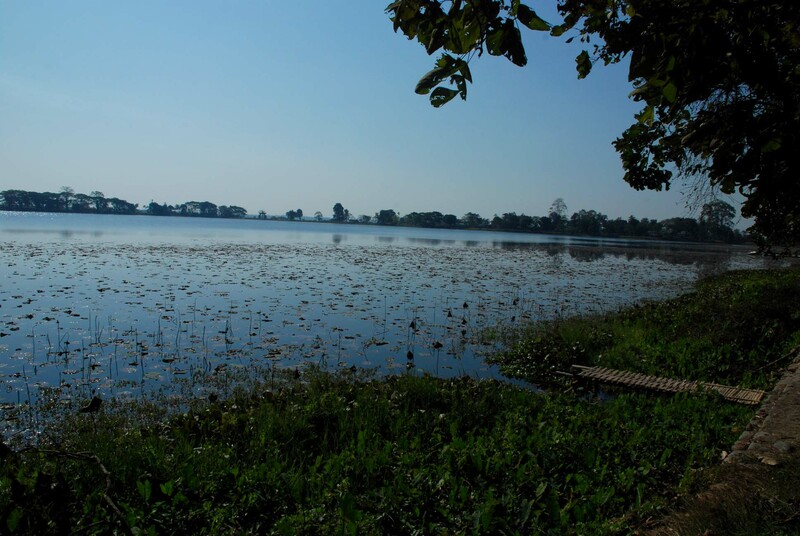 Gaurisagar and Rudrasagar are two other tanks in Sivasagar built by the Ahom kings. 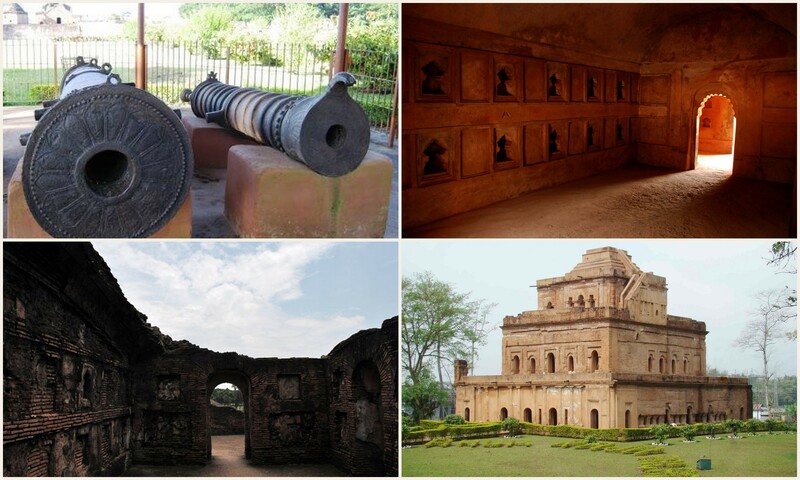 You can also visit the Sivasagar Tai Museum to learn more about the Ahom kingdom. The districts of Jorhat and Dibrugarh, 56 km and 80 km from Sivasagar respectively, have airports that connect the state with major cities across the country. 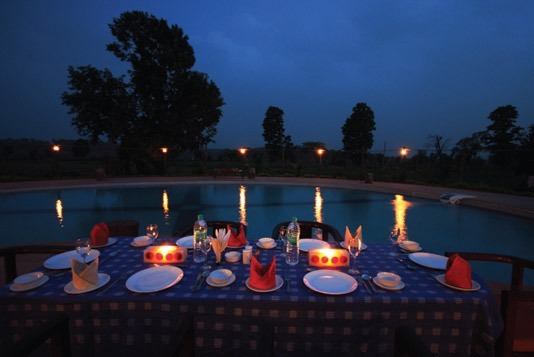 You can take an ASTC bus or easily hire a car to Sivasagar from either airport.